Wireless technologies cover a range of communications activities such as mobile phone calls, wireless Internet, file transfers, emergency services, taxi companies, armed forces, aircraft communications, and the list is endless. We only generally think of wireless technologies in terms of mobile phones and the Internet, but as you can see there are many wireless technologies available to serve a wide variety of purposes. If we could see all these signals physically and each signal was represented by a different colour it would look like a firework display and each of these could be seen travelling through walls and our bodies. Some wireless technologies work via satellites, and some through various antennas. In order to avoid signals crashing into each other, different technologies and the specific tasks are allocated their own frequency range, measured in megahertz. These days the majority of broadband providers incorporate Wi-Fi and provide a wireless router so that you can use your laptop anywhere in the home. 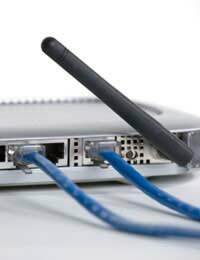 If you have a reliable router and ISP, the availability of your wireless signal is not usually a problem. On the road however, it is a different problem as you can either look for a Wi-Fi hotspot to access the Internet or you may have mobile broadband, which uses a mobile router in the form of a “dongle” which plugs into a USB port on your machine. This system makes use of the mobile networks, such as Vodafone, T-Mobile, Three or Orange. In the war of wireless availability each of these providers will probably lay claim to having the best signal coverage. Although this is marketing speak, it may well turn out that one provider may have the advantage over another in a certain area of the country. However, the only way that this would happen is if the provider has more antennas in a certain area than another. The only way to check coverage of a broadband provider and the wireless service they provide in that area is to check the coverage areas of each provider on telecommunications websites. By checking the coverage in an area you will know if one provider is more likely to provide higher signal strength in that area. Another aspect of wireless availability is the upload and downloads limits. This is something worth considering when you are subscribing to a particular service. For instance some may offer you a 3GB download limit in a certain length of time while others may have a 10Gbyte download limit for the same length of time. It is important because if you exceed your limit you will be charged extra for the additional download. Some companies have an unlimited download limit but will charge more per month for their service. In the end it probably depends on how much you access the Internet on the move, as to which service will suit you best. When considering a mobile provider you should also consider the Wi-Fi hotspot access they provide you with on the move i.e. the public places where access to their Wi-Fi service is free if you are a subscriber. The advantage of using your provider’s hotspots is that it saves on your upload/download limits as you are not charged against your allowance when using Wi-Fi, unlike when using your mobile dongle. In Some Places, Wireless Internet is Free! If you don’t have mobile broadband but have a built in Wi-Fi card you can still access the Internet in some public places like cafes and bars. Some of these are now offering free wireless Internet in the form of a wireless hotspot, and the service is not related to a mobile phone company. If need be you can pay for wireless Internet on a pay-as-you-go basis. Some examples of these are “The Cloud” and “BT Openzone”. In general, Wi-Fi is usually faster than a mobile broadband signal. Therefore, wireless Internet availability depends on a number of factors, including the area you require access, upload/download limits and the cost of the service.